Iyenga AMCOS deals only with coffee and collects from more than 500 farmers within the Mbeya region. Group leaders encourage women and young people to participate in coffee agriculture activities and in all cooperative activities. When the group first registered, there were only 64 members, which over the years has grown to 193. All of the farmers in Iyenga village are very small scale and grow coffee on 5 hectares or fewer. In addition to coffee, many grow maize, peanuts and beans. The majority of farmers often keep one or two cows and some poultry, as well. 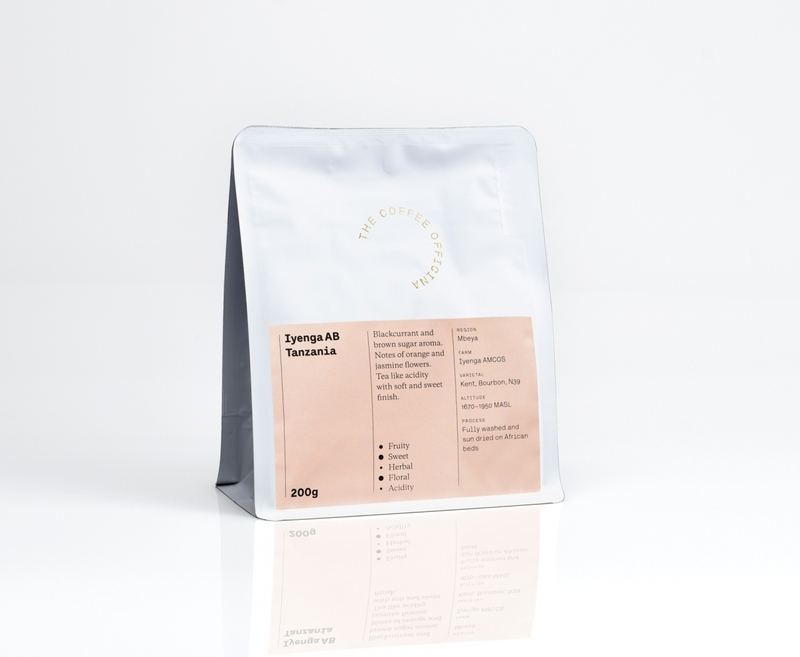 This lot from Iyenga AMCOS is a mix of home processed and mill pulped coffees. In both cases, all coffee is hand harvested and pre-sorted before pulping. Most farms are located quite near the mill, with the closest being only 300 metres away and the furthest 10km. In order to ensure that the coffee arrives at the mill in a timely fashion, the Coop has developed a transportation system to collect coffee from all farmers who are either far from the wet mill or produce a large volume. Iyenga hires cars and motorbikes which go to visit farmers who have notified leaders in advance that they are harvesting that day. A secretary is appointed during the harvest season to arrange hunting logistics. This system has enabled the Coop to have more control over the quality of the cherry and pulped coffee that arrives at the mill. All coffee cherry delivered to the mill is pulped within eight hours of being picked. After pulping, coffee is delivered to the fermentation tanks where it is fermented without water for 10-12 hours. Fermented coffee is then taken to the washing channels where it is washed and graded using fresh water. The wet mill has well designed washing channels that facilitate the work and minimize the use of water throughout this process. After washing, coffee is spread on drying tables, where it will stay for 7–10 days (depending on weather conditions). During the hottest part of the day, the drying coffee is covered with coffee shade nets and during the night coffee is covered with nylex sheet to prevent it from experiencing extreme temperature changes, over- drying and exposure to humidity. After reaching the optimal humidity, the coffee is rested. All the coffee is usually milled in Mbozi and is sent to the Tanzania Coffee Board auction in Moshi, where it is then cupped, graded and sold at auction to the highest bidder. This coffee has been graded ‘AB’, a mix of the largest (A) and second largest (B) bean sizes. Grading by size occurs at the dry mill.